“Usonia” was Wright’s idealized vision of the United States of America: a country that celebrated individuality and personal connections with nature. 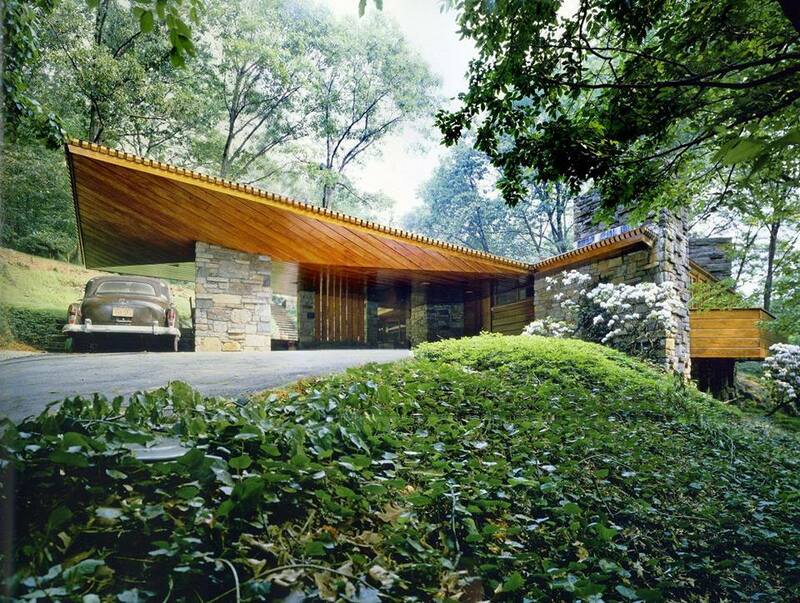 Usonian homes were designed to be simple, affordable, beautiful, and custom-designed to fit the needs of homeowners. The first such home designed by Wright cost just $5,500 in 1937 (about 85K in today’s dollars), made for the Jacobs family in Madison, Wisconsin. 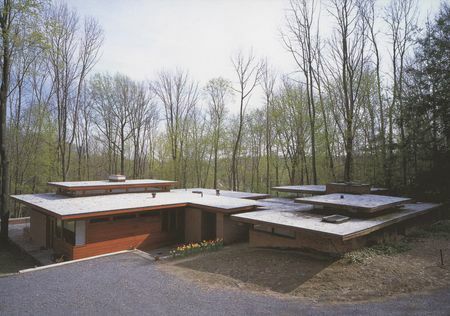 In the years that followed, Wright built a number of Usonian homes around the country. None of these were as inexpensive as the first, though. And once the Great Depression was over, Wright became busy with other projects. A group of Wright’s apprentices would be the ones to push Wright’s vision forward, by establishing an entire community shaped by these ideals, right outside of New York City. This community was started in 1944 by a few of Wright’s disciples who had studied at his school, Taliesin — most notably a man named David Henken. He sought out similarly-minded people who would invest in and join this new community. 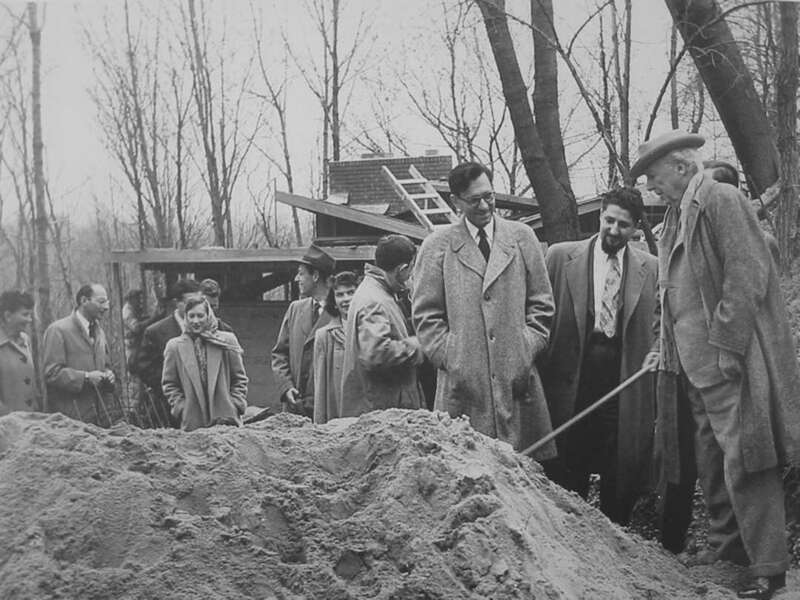 Would-be residents were drawn to the project by a combination of factors, including the promise of affordable housing, shared democratic ideals and (of course) the involvement of Frank Lloyd Wright, a famous architect. 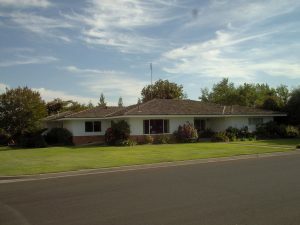 The land for this new community was acquired in 1946 and Wright finalized its site plan in 1947. The plan was unusual: it featured space for dozens of houses situated not on rectilinear plots, but on circular lots. The idea, in part, was to let properties flow organically into one another, and discourage yard fencing, which would divide homes from their natural surroundings. This design project was unique not only in its layout and architecture but also in its legal structure: it was based on a communal mortgage. Residents would pay for the houses together, which would be built on land they all owned. Those who joined the community faced shared risks and challenges, including social ownership and construction costs, the latter of which grew beyond initial projections. As the economy rose out of the Great Depression and World War II erupted, materials and labor became increasingly expensive. The custom nature of Usonian houses, from construction methods to unique fixtures, required more work as well. Many of the homes ended up costing over two or three times their original estimates. Nonetheless, participants in this experimental endeavor were optimistic and stuck with the project. Wright himself ended up designing three of the houses in Usonia. Reisley’s house is quintessentially Usonian, featuring a simple carport, wooden walls and an open floor plan (but small kitchen). Big glass windows and overhanging roofs draw the eye outside, making the inside of the place feel more strongly connected to its environment. Reisley loves his Usonian home. For him, Wright’s notion that better architecture could create a better way of life has proven personally true. And not just within his own home but also with regards to the community more broadly: from the start, Usonia was a tight-knit group of young families who relied on each other and shared a vision for the future. 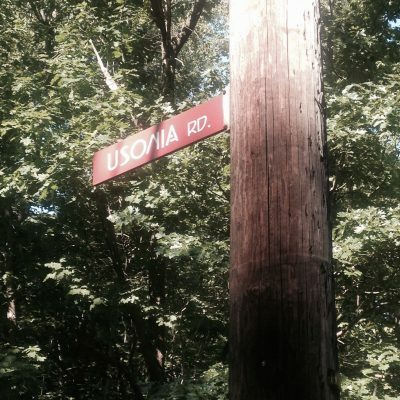 Indeed, during the first 40 years of Usonia’s existence, only 12 of the 48 houses changed hands (and half of those went to next-generation residents). Reisley jokes that there were few divorces because couples couldn’t decide who would get to keep their Usonian home. Over time, though, life started to move at different paces for people living in Usonia. Younger families grew older and generations shifted. 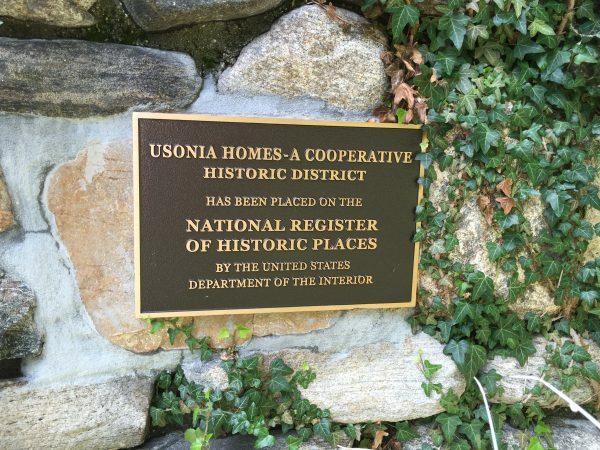 And when people did decide to sell their homes, prospective buyers were thrown off by the cooperative nature of the village — in the first decades of Usonia, members didn’t even own their homes. A compromise was eventually reached: the land would remain communal but the houses would become individually owned (thus easier to sell). For newcomers, whose homes were not built specifically to their needs, life in a Usonian home could require a bit of adjustment. 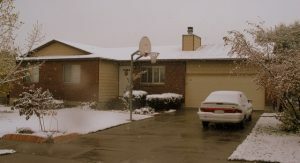 Most of the houses in the community have been expanded or remodeled. However, the board of Usonia ensures that all new additions match the original architecture, and are made with local materials, flat roofs, big glass windows and other signature Wrightian features. Some things have changed more than others, too. Kitchens, for instance, originally designed to be small and efficient, have been expanded in many of the homes. Others grew with their occupants, adding spaces for families with children. 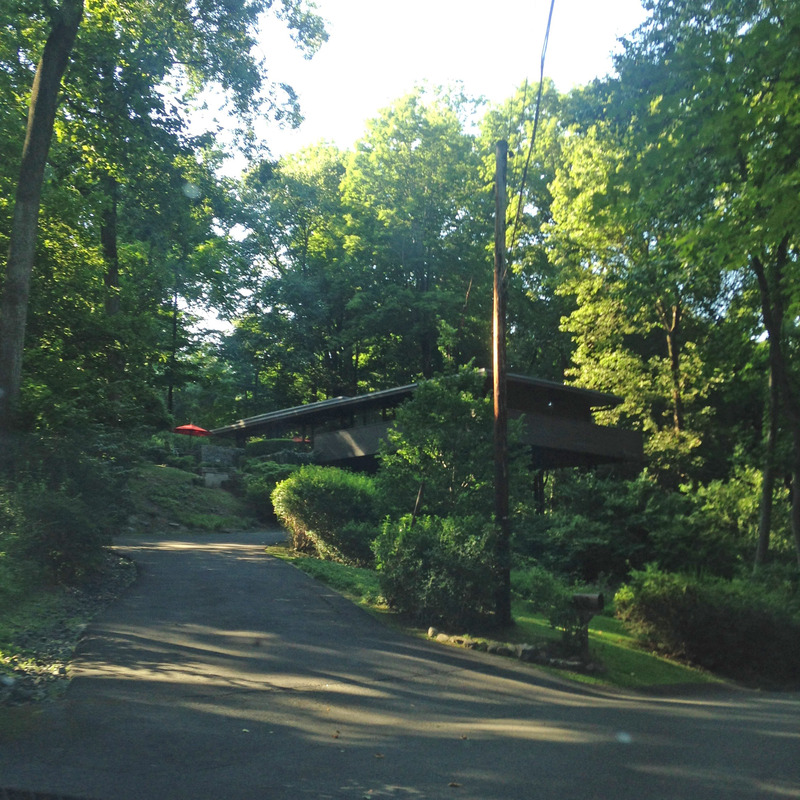 Many Usonian homes, however, are hard to modify for various reasons. Owners, of course, want to preserve aspects of their house’s history. But in many cases (within and beyond Usonia, New York) there are also boards and preservationists who can make it difficult to engage in big remodeling projects. At the same time, there is an argument for adapting these buildings as they age: preserving a house means keeping it occupied and updated, which in turn means upgrading things to make it livable across generations. Jacobs II, also known as the Solar Hemicycle. 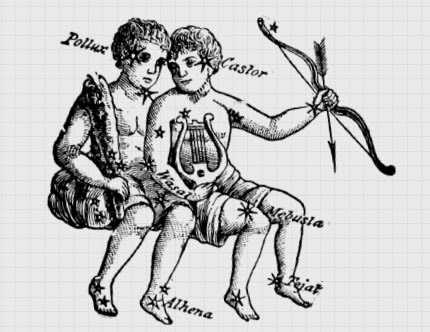 Image by J. W. Moore. Betty and John Moore live in Jacobs II, the second Usonian home Wright built for Herbert Jacobs (also located in Wisconsin). 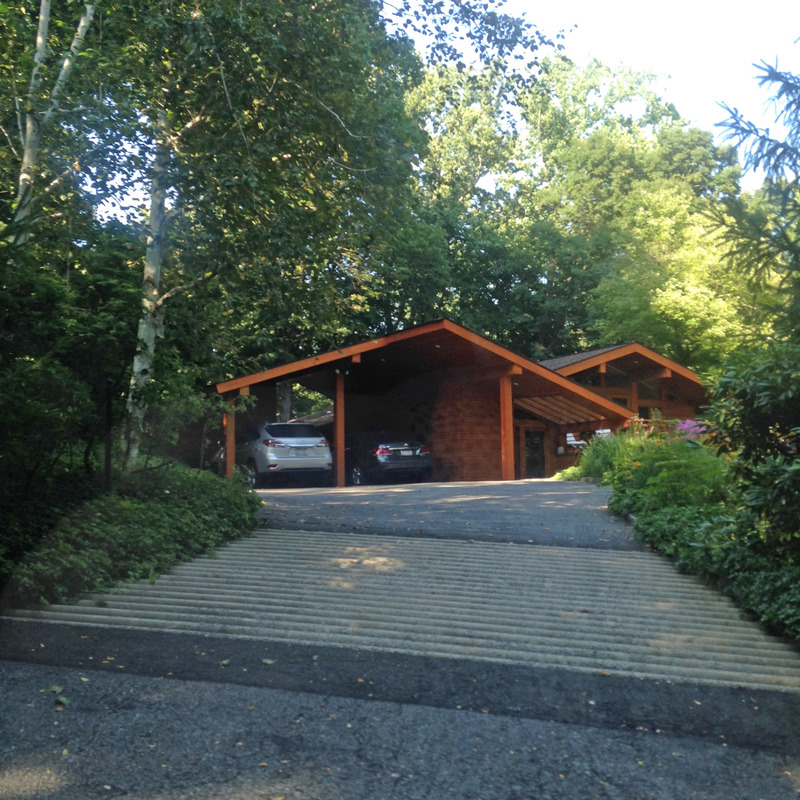 Like many Usonian homes, this one has a carport, big windows, an open plan, and concrete floors with a built-in heating system. But the beautiful house sat on the market for over four years before the Moores bought it. Many people found it interesting but were wary either of its perceived high maintenance or its very open floor plan and the lifestyle it would involve. 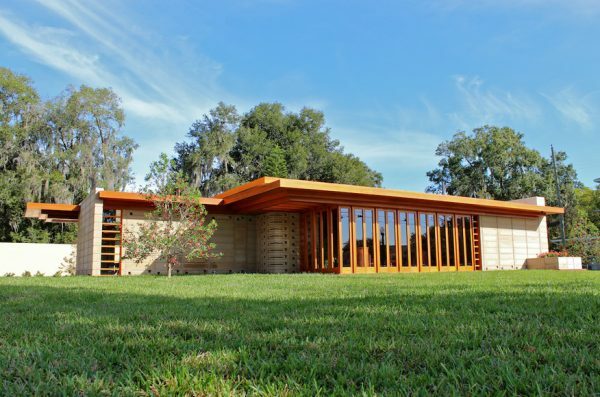 No one is quite sure how many Usonian homes even exist today across the country. Estimates range from a few dozen to well over a hundred. It depends, in part, on how one defines a “Usonian” home. Does it refer to designs done specifically by Wright and his apprentices? Is it a period of architectural history? Or is it simply an architectural style? 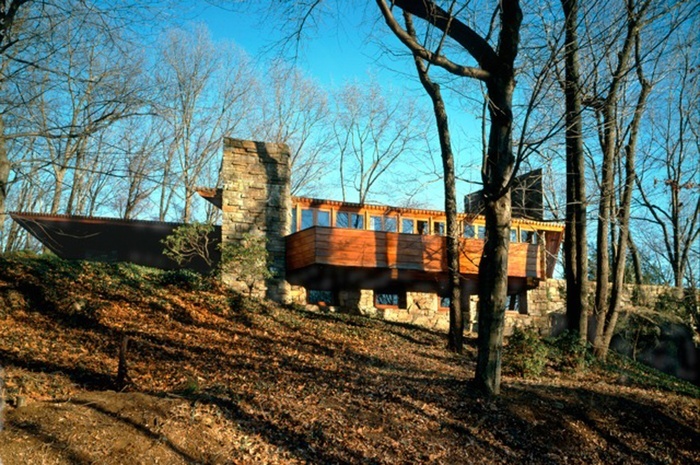 On some definitions, Usonian homes are still being constructed today. There is, for instance, a Usonian structure recently built by Florida Southern College that was designed by Wright in 1939 but built 74 years later. Beyond the community in New York (if even there), Usonia never came to exist in the way Frank Lloyd Wright originally envisioned, with Americans living in an affordable yet custom home. Still, Usonian designs and ideals came to influence other architectural trends, including long and low-to-the-ground suburban ranch-style homes popular from the 1940s onward. Like Wright’s Usonian homes, ranch houses often have open floor plans with few walls and low-angled roofs. 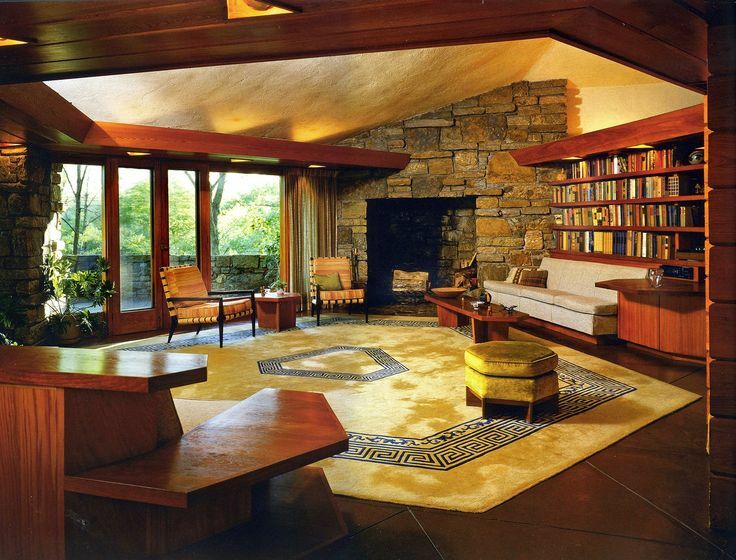 Other small aspects of ranch homes, like sliding glass doors that create connections between interior and exterior spaces, also recall aspects of Usonian approaches. At the same time, many ranch homes use off-the-shelf parts and feature painted surfaces rather than natural materials, very clearly different from Wright’s organic aesthetic. Wright might not have been pleased that the concepts of Usonia got absorbed into cookie-cutter suburban homes. But these descendants of Usonia did what Wright’s designs could not: they made houses affordable for the middle-class American family. One might say that Wright’s dream was realized, just not quite as he dreamed it. 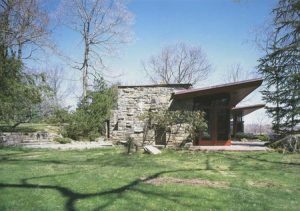 Frank Lloyd Wright died in 1959 at age 92, three years after finishing the Reisley House in New York. 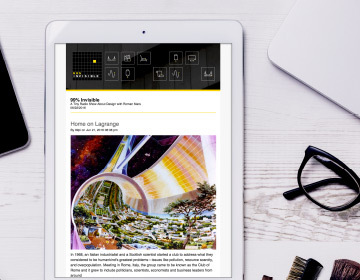 But his influence persists — you can see it in everyday things like suburban ranch homes, carports and track lighting. It is also visible in creative uses of natural brick, stone, wood and concrete, in big open floor plans and in buildings that respond to their environments. 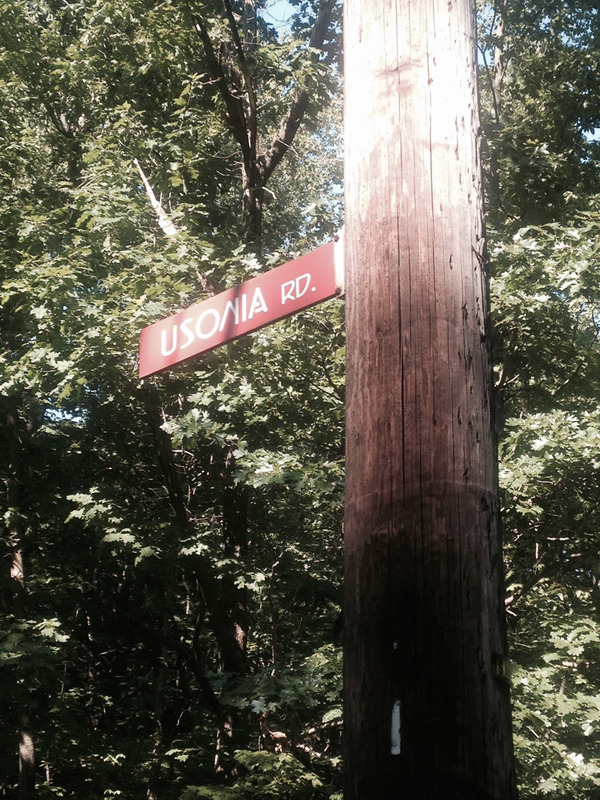 In little elements and details all around us, Usonia lives on, in ways Wright never would have imagined. Producer Avery Trufelman spoke with Roland Reisley, occupant of a home designed by Frank Lloyd Wright in Usonia, New York and author of Usonia, New York: Building a Community with Frank Lloyd Wright; Evan Kingsley, resident of Usonia since 2003; Betty and John Moore, who live in Jacobs II by Frank Lloyd Wright in Wisconsin; and John Eifler, an architect in Chicago who has restored a number of Wright houses (including Usonia I). Well done. On the subject of Wright and his Usonian homes, you might be interested in this piece I wrote for The Philadelphia Inquirer in 1989. 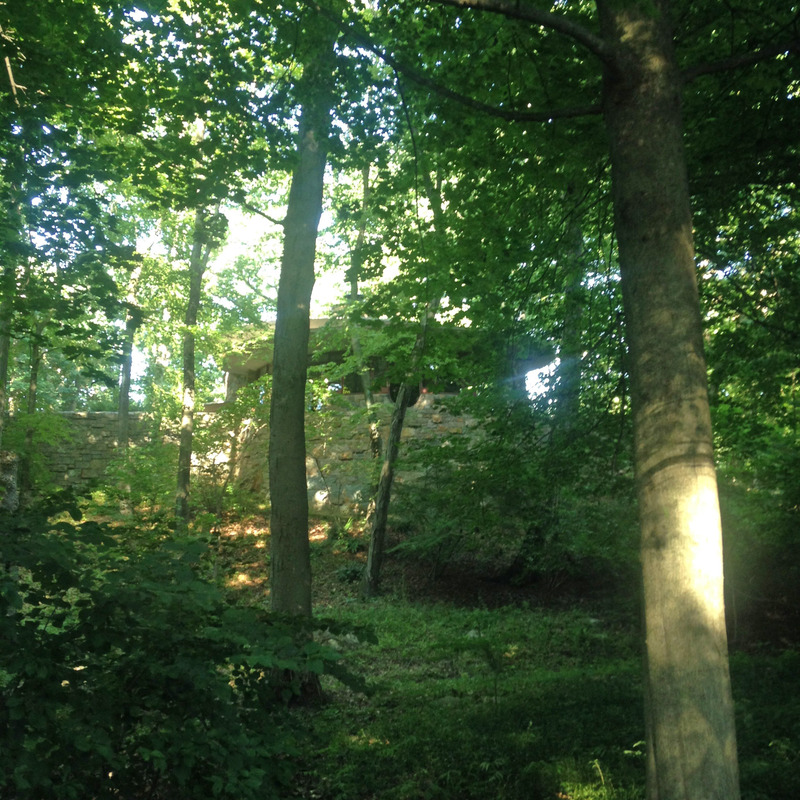 One warm June evening here a few years ago, Richard and Bernice Smith stood before Frank Lloyd Wright’s grave, telling him about their house. It had been one of the master architect’s later designs, an example of his ”organic” building principles at work. In architecture circles and in their home town of Jefferson, about 65 miles east of here, it was famous. Students and historians dropped by frequently to study it. Magazine photographers took pictures. But the Smiths weren’t there to say thanks. ”The bathrooms were inadequate. The closets were inadequate. The bedrooms were terribly small,” Richard Smith recalled. ”The first winter we were in there we pretty near all froze to death. When the house was new, Smith had tried complaining to a very-much-alive Wright, telling him for example that the concrete slab on which it sat got cold during Wisconsin winters. Twenty-five years and thousands of dollars in repairs later, Smith and his wife stood in the Wright family graveyard, just down the valley from Wright’s own famous house, Taliesin, and bluntly explained why they were finally selling out. A lot of people here think of Frank Lloyd Wright that way. For decades, the man considered America’s greatest architect alternately graced and insulted, enthralled and repelled his neighbors until his name was almost an invitation to battle. Thirty years after his death – and precisely 120 years after his birth on June 8, 1869 – Wright is the height of international fashion. A single small table he designed sold recently for $175,000 at Sotheby’s auction house. But here in southern Wisconsin, eyes still roll, and stories are whispered about his out-of-wedlock liaisons, his unpaid bills, his grandiose pronouncements on everything from war to zoning. And though the man’s remains were removed to Arizona four years ago at his widow’s posthumous request – a final insult, many locals felt – Wright’s contentious spirit is once again threatening to haunt the lush green valley where he grew up, settled and built what some argue was his greatest residential structure, Taliesin. ”Here We Go Again,” proclaimed the Wisconsin State Journal last month, about a plan to revive a 96-year-old Wright design for a boathouse in the city of Madison. The proposed 100-foot-tall structure, to be built on one of the Wisconsin capital’s two adjacent lakes, has revived memories there of a bitter, 30-year battle over a mammoth civic center Wright wanted to build in the city he considered his home town. Meanwhile, a subtle struggle is taking shape over the future of Taliesin, Wright’s name for the sprawling home he built and rebuilt over 50 years on the brow of a hill near Spring Green. Age, weather and Wright’s own building methods have caused the buildings to age rapidly. The commune of disciples he left behind has been unable to keep it up, despite their ownership of an estate valued in the tens of millions. State officials, including Wisconsin’s governor, would like to step in, renovate the property and use it to promote local business and tourism. But they must overcome expected resistance by both Wright’s former apprentices and the Wisconsin electorate, which has historically balked at spending tax dollars on anything connected with Wright. At Erdman’s urging, Wisconsin Gov. Tommy Thompson last year formed a commission to study restoration of the 600-acre Taliesin complex, which dominates a section of the Wisconsin River valley 45 miles west of Madison. Like many in the state’s current business-minded political establishment, Erdman sees Taliesin as a state treasure that has been grossly underappreciated. ”Last month, the governor went to Switzerland. When he tried to sell cheese, instead of people asking about cheese they asked him about Frank Lloyd Wright,” Erdman said. Erdman envisions executive conferences, political gatherings and tens of thousands of tourists filling Wright’s buildings, buildings that now are unused much of the year. He points to Illinois, where the state government has spent heavily to restore a single Wright-built home near the capital of Springfield. ”For the state of Wisconsin not to do a thing like this is pure stupidity,” he said. Since the late 1930s, members of the commune-like architecture school Wright founded have migrated each year between the grounds here and a winter home in Arizona called Taliesin West. 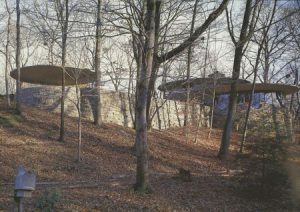 From June to October, tourists are admitted to part of the school complex, but Wright’s own house and studio are off-limits except to a handful of scholars and invited guests. Named for a mythic Welsh poet whose name means ”shining brow,” the house emerges from the brow of its hill, commanding wide views of the valley. Inside its semi-enclosed courtyards, living rooms and passages are stunning examples both of Wright’s inventive mind and of his passion for collecting fine Asian art. But throughout the building, plaster is cracked, stone is loose and wood is worn rough with age. An elaborate Japanese screen above his studio is rotting. Original pieces of Wright furniture, like those that have sold recently for five and six figures, are chipped and stained. 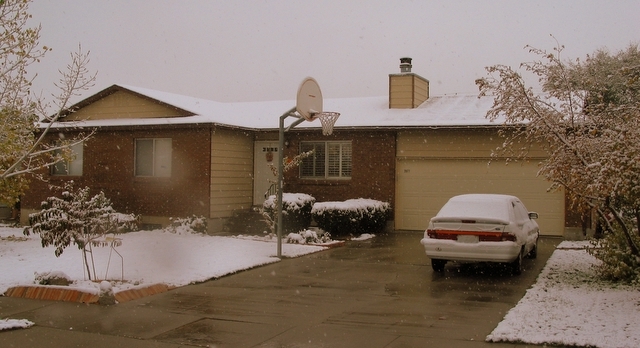 Heating systems are ancient and insulation nonexistent, moreover, making the house uninhabitable in winter. Worse, there is no sprinkler system, and much of the electrical wiring is outdated. Fire is a continual worry; just last month, a gas leak sparked a blaze that damaged one of the outlying buildings. 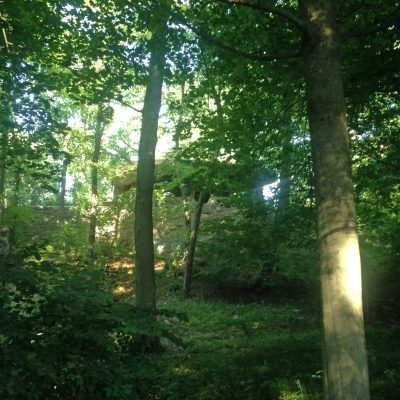 Members of the Taliesin Fellowship, who double as faculty in the school and directors of the Frank Lloyd Wright Foundation, which owns the property, say they have been diligent in keeping up the property, which for many of them is home half the year. Wright built on a shoestring, usually strapped for cash despite his fame, and ended up using cheap materials and unskilled labor. He was also often oblivious to existing technology, designing structures that seemed to call for methods and systems not yet invented. Building Taliesin from the ground up today would be considerably cheaper than restoring the original building, which is expected to cost about $14.7 million, according to Erdman. The situation has grown more ironic as the market value of original Wright objects has soared in recent years because the foundation itself owns what is certainly the largest collection of his papers, furniture and glasswork in the world. In the archives at Taliesin West are 23,000 original drawings and 200,000 documents and manuscripts, and the two Taliesins hold what may be one of the largest collections of Asian art in the country, Carney said. Charles Montooth, who has lived here since he was a Wright apprentice in the 1940s, said some members have suggested – in jest – selling a few original pieces, replacing them with copies and using the profits for restoration. ”We kid among ourselves,” he said. At issue specifically is a state proposal to transfer ownership of Taliesin to a new organization, whose board of directors would be stacked in favor of non-fellowship members. Although members of the fellowship generally support some restructuring, the group is reluctant to cede control of the property, according to Erdman. ”That’s a hard thing for them to give up because it’s their home,” Erdman said. In addition, the state plan calls for opening up Taliesin to tourists, and projects that up to 200,000 people a year might visit, something that could dramatically change the atmosphere on what has historically been a bucolic, retreat-like campus. But even if the state wins full cooperation from Wright’s former disciples, there remains the problem of raising money in a state where Wright’s name is still legend for reasons other than architecture. ”He didn’t pay a lot of bills,” said Nicholas Muller, head of the Wisconsin State Historical Society. When Wright moved back to Spring Green, near his birthplace, from Oak Park, Ill., in 1911, leaving behind his wife and children for another woman, his neighbors asked the sheriff to evict him. During World War II, he angered war-effort groups by arranging agricultural deferments for his apprentices, who farmed the Taliesin grounds part time. His relationship with the community remained equally tenuous through his several marriages and affairs and was not helped by his penchant for sounding off in public. ”He enjoyed needling people,” recalled Carroll Metzner, a Madison lawyer who fought for years against Wright’s civic-center plan there. ”He used to call us a one-horse town – this while we were supposed to be considering his project. ”We had a debate once, he and I. He finished speaking, then I got up, and as I was talking, I got heckled. After a minute, I realized it was Wright, heckling me from behind. I turned around and said if he wasn’t through, he could come back and continue speaking. . . .
2. Some see value in the estate; others see only a distasteful man. KEYWORDS: BIOGRAPHY BUILDING WISCONSIN END OF DOCUMENT. Hi, thanks for this and all the other episodes, I love them. Have you ever noted, how much the the Vandamm House in the movie ‘North by Northwest’ looks like one of these houses (except for being on the top of a hill)? Very much enjoyed this podcast — especially as I live in Wisconsin and have visited the Second Jacobs House. 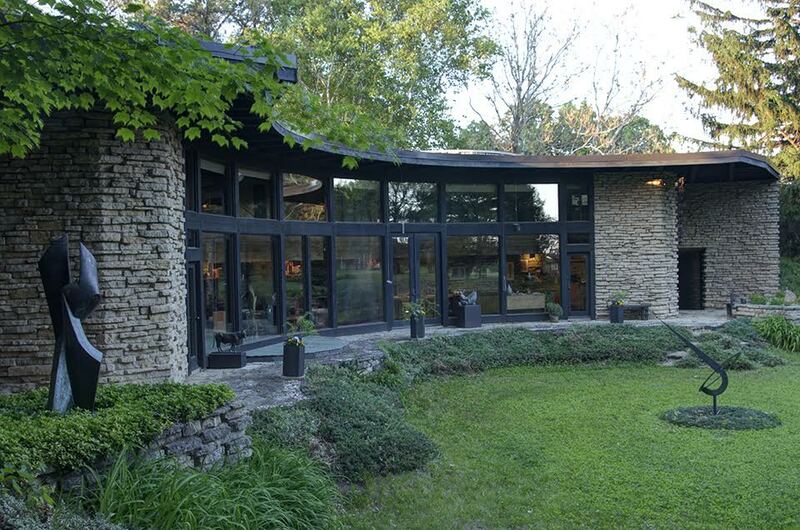 The house is one of only 43 Wisconsin locations identified as a National Historic Landmark. Two historical markers are at the location — one for the National Historic Landmark status: http://wisconsinhistoricalmarkers.blogspot.com/2015/04/the-second-herbert-and-katherine-jacobs.html — the other placed by the Madison Landmarks Commission: http://wisconsinhistoricalmarkers.blogspot.com/2015/04/jacobs-ii-house-frank-lloyd-wright.html. A Southern California native, I never appreciated the work of Frank Lloyd Wright until I moved here. This podcast gave me an even deeper understanding and appreciation for his work. I’m going to link it to all my posts. 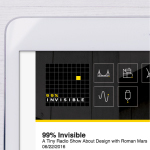 Thank you so much for 99% Invisible. I LOVE every podcast! Couldn’t it be said Joseph Eichler continued Wright’s vision? I don’t know much about Eichler, but from a distance, it seems like he achieved what Wright was going for. 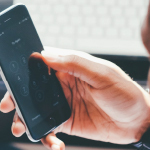 Nice work, it is really a good post, and it is so easy to listen to. Unfortunately reading it I have noticed that have a mistake with the age of the architect when he passed away. In 1959 Frank Lloyd Wright has 92 years old. On the other hand, I couldn’t let pass that in the footnote of the Florida’s southern usonian home, you people, forgot to stablish that is a FLlW design. The fact that was built by the firm or persons that you have indicated doesn’t take the authorship of the building.